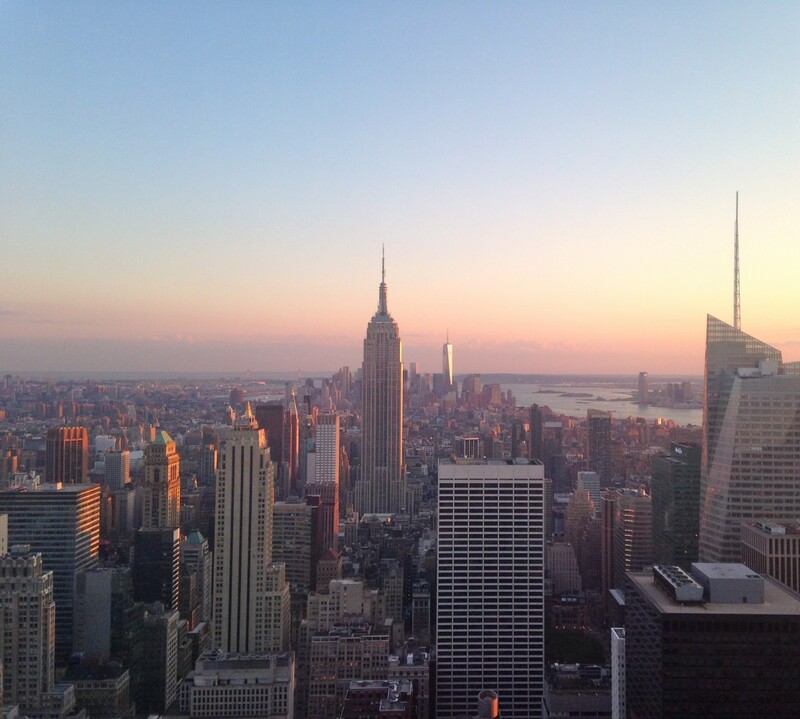 By now, most of you know that I love New York City. I also have a slight obsession with Christmas. Luckily for me, those two things converge beautifully, and every December New York City becomes the most magical place on earth. The trend is to put a gigantic tree in the middle of every public space and deck it out for the holiday. 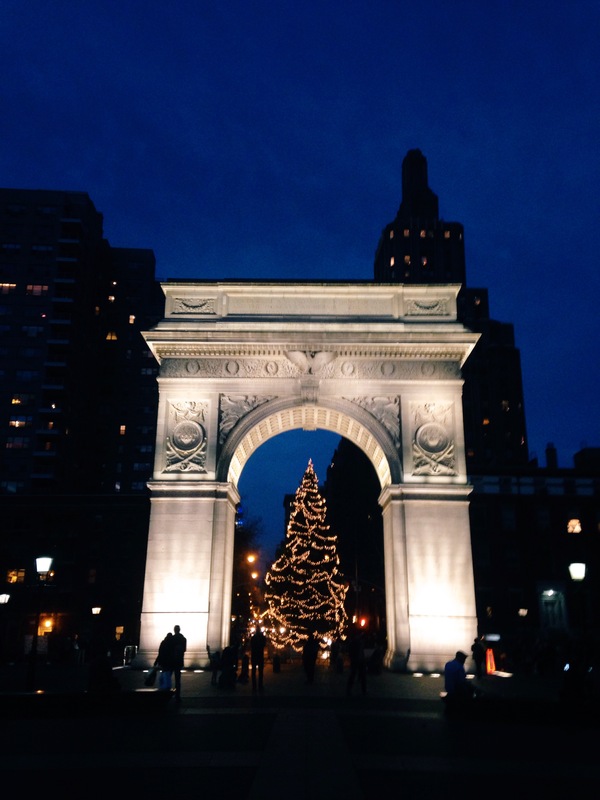 Everywhere you turn in Manhattan, you find yourself face-to-face with another Christmas tree. While the Rockefeller tree is by far the most famous, complete with a live televised lighting every year, all of the trees are truly phenomenal. This year, I’ve made it my mission to seek out as many as possible. 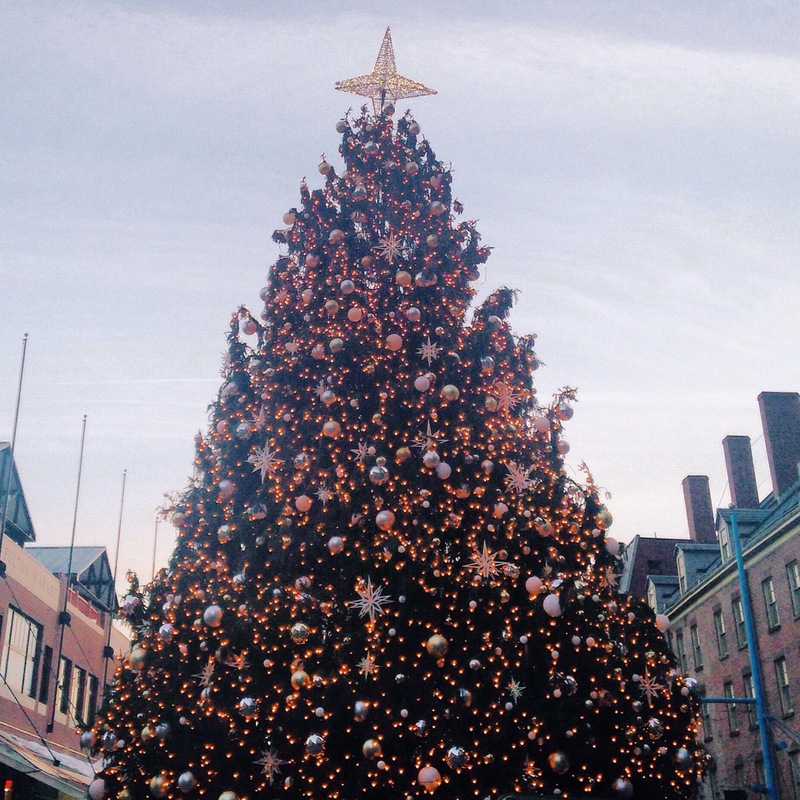 The tree at South Street Seaport is decorated with a classic Christmas theme: tiny gold bulbs, silver and gold ornaments, the occasional snowflake. This was my favorite tree to visit due to the lack of crowds on a weekday afternoon. 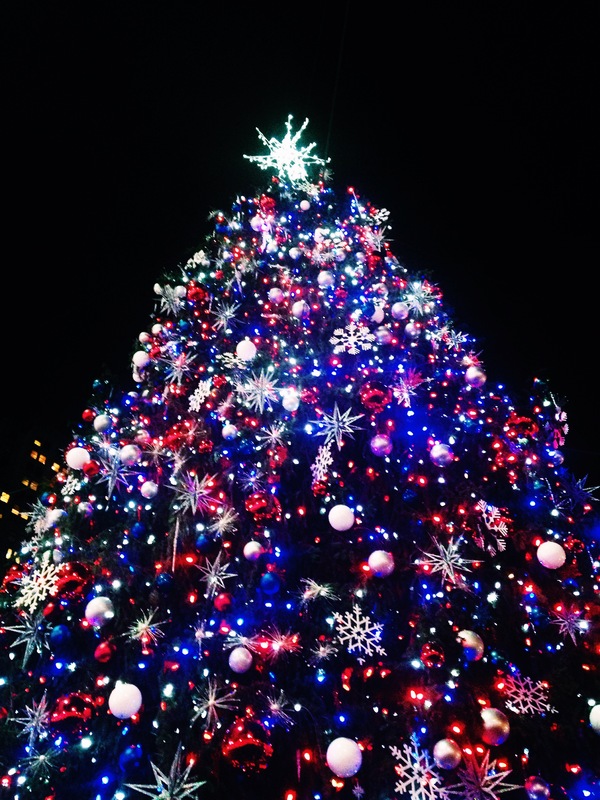 The tree at Bryant Park – which also features the annual Winter Village – has a more patriotic theme, featuring blue bulbs. It seems a little out of place with the season, but the weather has been downright balmy, so I could easily be tricked into thinking this is a Fourth of July tree. 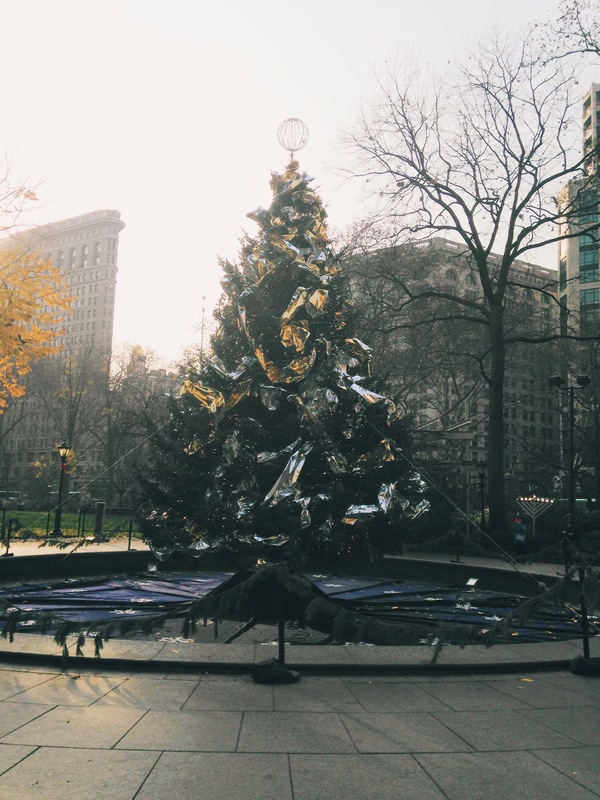 The tree at Madison Square Park is the ugly duckling of the bunch. It looks like it was hastily decorated by someone throwing leftover wrapping paper at it – sorry not sorry. I’m not even quite sure what they were going for here, but the view in of the Flatiron building is worth the visit anyway. I love the way the tree at Washington Square Park is framed by the arch – and although I grumble about the early sunsets, it’s lovely to walk past this one every afternoon on my way to the late shift. Of course I can’t post about the trees of New York without including the one at Rockefeller – especially since Rockefeller Plaza is my favorite place in the city. There is a reason this one is famous, and it’s worth squeezing past millions of bodies on a Saturday evening to get the perfect photo – once. What’s your favorite tree in New York? Did I miss any? I like the one on your Christmas card. Probably because of the happy faces in front of it!